The terror begins as the crew of the space-tug Nostromo responds to a distress signal from a desolate planet, only to discover a deadly life-form that breeds within human hosts. It has been years since I seen this movie and once again the first time I seen it on Blu-ray. Whether you are a horror fan... a sci-fi fan... or both this is a must see film. The movie is very well done and has held up incredibly well. I feel Sigourney Weaver does a fantastic job here as Ripley. 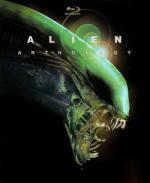 The loiok and the feel of the alien was great, Especially considering this film is almost40 years old! Alternate score by Philip Glass. Monster Track (commentary in subtitles). This is a true horror classic and the first movie I ever watched with Bela Lugosi in it. This film is one of my favorite versions of Dracula. 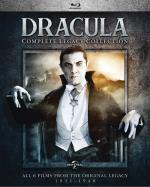 I think Bela Lugosi does an outstanding job in the iconic title role. Dwight Frye also did a great job as the crazed Reinfield. For me the only low part of this film has to be David Manners as Harker... I just found him to be so wooden and unappealing in the role. I would have also liked to seen this one to be a little longer. I found myself wanting more... but then I guess that is what the other films in the set are for. 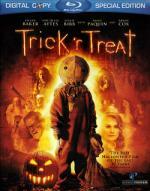 I have made it a traditin to watch at least some of these films around Halloween for years now. And after Watching it multiple times... I found I enjoy it now just as much as I did the first time I seen it. I really like the character of Cassandra Nightingale (The Good Witch) and the lovely Catherine Bell did a wonderful job in the role. I couldn't imagine anyone doing it better. I been a fan of Catherine Bell every since her JAG days. If there is anything I didn't care for though... it would be that the ending felt like it was settled a little quickly and easily. But that didn't really take away from the movie for me. One of Takashi Shimizu’s two short films made for horror portmanteau Gakkô no kaidan G.
This is a Japanese short film on the blu-ray of The Grudge (US Remake). Not bad but I somehow expected more. Before Ju-On and The Grudge, Takashi Shimizu had to prove his new edgy take on horror in the form of two short films—this is the first. Another short found on the blu-ray of The Grudge. This one I liked quite a bit more. Unfortunitly the quality of this one left a bit to be desired. It just wasn't as c;eaned up as it should have been. Trapped in a damaged cryogenic pod, a man is forced to watch a series of horrific science-fiction tales while his life support system runs out. Featuring eight intense stories of the unknown and other-wordly, equally wonderful and terrifying. 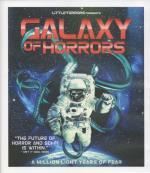 Visit GALAXY OF HORRORS, if you dare! Curated from Rue Morgue & Unstable Ground's Little Terror Festival. This is one I never heard of before we spotted it used at half Price Book store. It is an anthology sci-fi/horror with several good segments. This movie has more segments then any anthology I ever seen before with 8 segments in the film. Of course some was better then others but they were all pretty strong. There is some that were in other languages with English subtitles which did catch me off guard. And the best part... if you didn't get your fill of shorts in this film... there is 7 more bonus shorts in the extras for a total of 15 stories here! While a solid horror film... it is far from my favorite Stephen King film. While some of the characters was likable there was also some that were just plain weird. It is worth the time put in to watch it. But not a favorite that I would watch often. A creepy, darkly comic celebration of the scariest night of the year from producer BRYAN SINGER (director of X-Men and Superman Returns) and writer-director MICHAEL DOUGHERTY (co-scripter of X2 and Superman Returns). Trick 'R Treat takes the Creepshow/Tales from the Crypt approach to nefarious new depths with four interwoven tales set on Halloween night: a high school principal (DYLAN BAKER) moonlights as a vicious serial killer; the quest of a young virgin (ANNA PAQUIN) for that special someone takes a gruesome turn; a group of teens carries out a cruel prank with disastrous consequences; and a cantankerous old man (BRIAN COX) battles a mischievous trick-or-treating demon. I always loved anthology horrors. While it is technically an anthology horror... it isn't the way I know anthologies at least. Instead of having 3 or 4 separate short stories along with a wraparound storyline... this one is done more like a regular movie with all the stories intertwined with each other. I think this makes for a nice change of pace. I enjoyed all the stories in this one. I would have to say the girls finding dates for the party was probably my favorite of them. I feel comfortable recommending this one to any horror fan. Well worth the time put in to watch it. I have to work tonight so this is sadly the end of this year's marathon. I did get 33 films in so not like I did terrible. Though far from the best I have done.